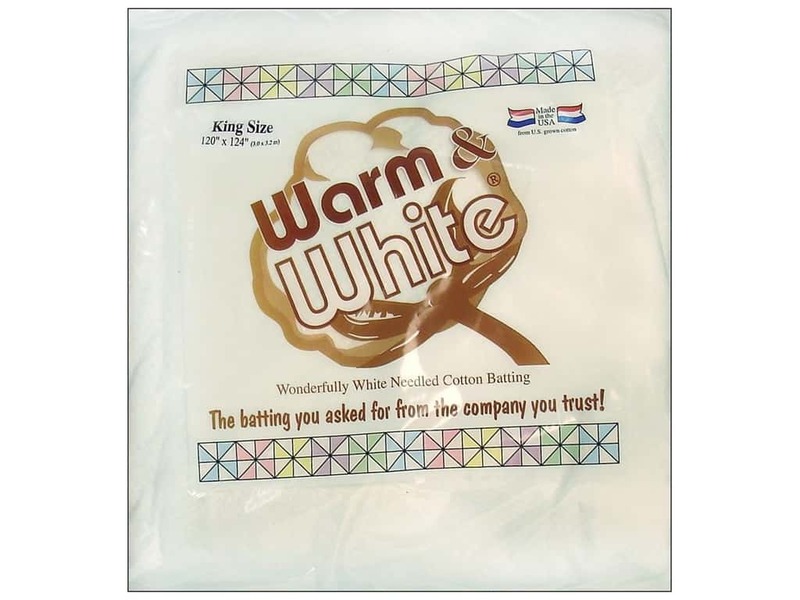 Description: The Warm Company Warm & White Cotton Batting is just like the popular Warm & Natural batting, but white! It is the perfect soft, warm batting for traditional and contemporary quilts, wall hangings, crafts or wearable art. 100% cotton fibers are punched with hundreds of needles through a strong, thin base material to prevent tearing, shifting or migration. The evenly layered fibers stay in place inside your quilt, even after a lifetime of gentle washings. Will not beard. Contains no resins or glues. King Size 120 x 124 inches. See more Warm & White Cotton Batting. Warm and White Cotton Batting King 120 x 124 in. -- CreateForLess 5.00 out of 5 based on 3 ratings. 3 user reviews.